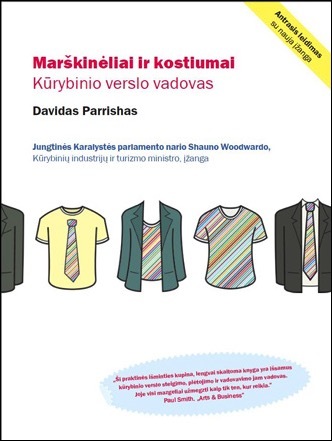 David Parrish gave an online presentation for creative enterprises in Lithuania with a presentation entitled: ‘How to be a Successful Creative Entrepreneur’. The online information session was organised by WORTH, alongside the Chamber of Commerce, Crafts and Industry of Vilnius and the WORTH Ambassador from Lithuania Design Forum. The online presentation for creative entrepreneurs took place on 26 September 2018. David spoke to an audience in Lithuania from the Republic of Ireland. In his presentation, David spoke about how to create your own business formula, using a combination of creative talent, competitive advantage, and strategic marketing. 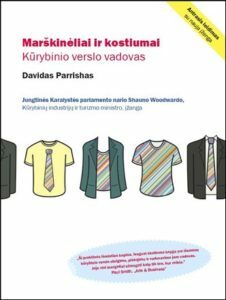 David’s book, ‘T-Shirts and Suits: A Guide to the Business of Creativity’ is available as a free eBook in Lithuanian and can be downloaded and shared from this link. David Parrish is collaborating with WORTH and they interviewed David about his international work supporting and advising creative entrepreneurs. The interview was first published by WORTH online here. The WORTH partnership project supports creative minds to develop innovative products. Throughout the European Union, the WORTH Partnership Project creates and supports transnational collaborations between fashion designers, creative people, manufacturing enterprises (SMEs) and technology firms looking to develop design-driven and innovative products.